The internet has given rise to a new kind of employee — the remote worker. From freelancers providing their services on online portals like UpWork, PeoplePerHour, and Freelancer.com, and raking in thousands of dollars per month to companies like Automattic, Basecamp and FlexJobs that especially thrive on the remote-worker model, there are lots of successful examples of this model’s worth. While most companies still require you to come to an office and put in the regular work hours, there has been a general shift. Some even argue that as long as you have a fast internet connection, it doesn’t really matter if you are separated by a cubicle or a 1000 miles. As demonstrated by a Chinese travel website, CTrip, workers can be a lot more productive when working from their home (although this is not always the case). 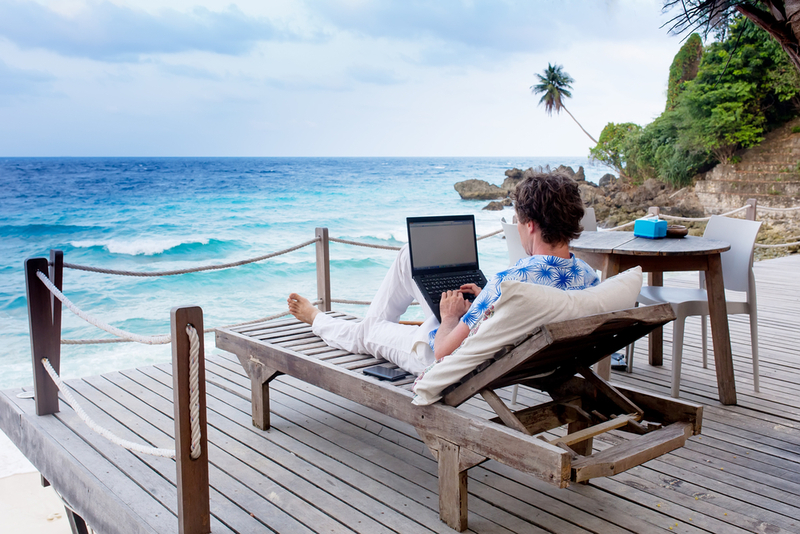 These employees and freelancers who work remotely are generally referred to as Digital Nomads. They work remotely, be it from their home, or a coffee shop or a public library, or well, any place with a good internet connection. In fact, most digital nomads take advantage of this to live in different countries, working on the go. Nomad List is a crowdfunded database of the best cities in the world for digital nomads. Analyzing over two hundred thousand data points, the web portal has compiled an incredibly detailed list of every city along with their average internet speeds, expenses (living, food, etc.) as well as the Fun and Safety ranking among other factors. All these factors are analyzed to compute a Nomad Score for the city — currently, Bangkok, the capital city of Thailand, retains the top spot with a 5/5 score, followed by Bali, Indonesia, with 4.97 out of 5. You can find more information about each city like travel guides, detailed cost of living, flight plans and even meet and chat with people in a listed city through the website’s forums. Since all the data is crowdfunded, you can also provide your own ranking. Fun: good in Bangkok. It should be great ?